The security of a building is about protecting the building itself, and the health and wellbeing of the users of the building. Good design can help control the movement of people and objects in, out and through a building. It can support how the layout of spaces and the management and maintenance systems work together to make a building more secure. Ensuring clear views across a range of spaces can reduce the amount of monitoring and staffing needed to safely manage a building. 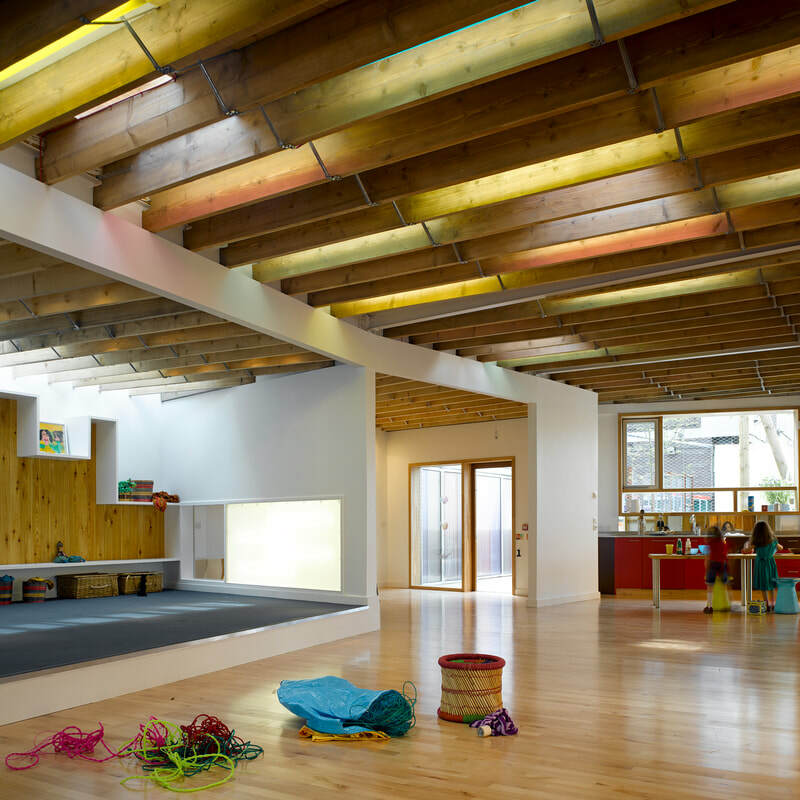 In this building, changes in material and colour help differentiate zones rather than the addition of solid partitions to separate use. 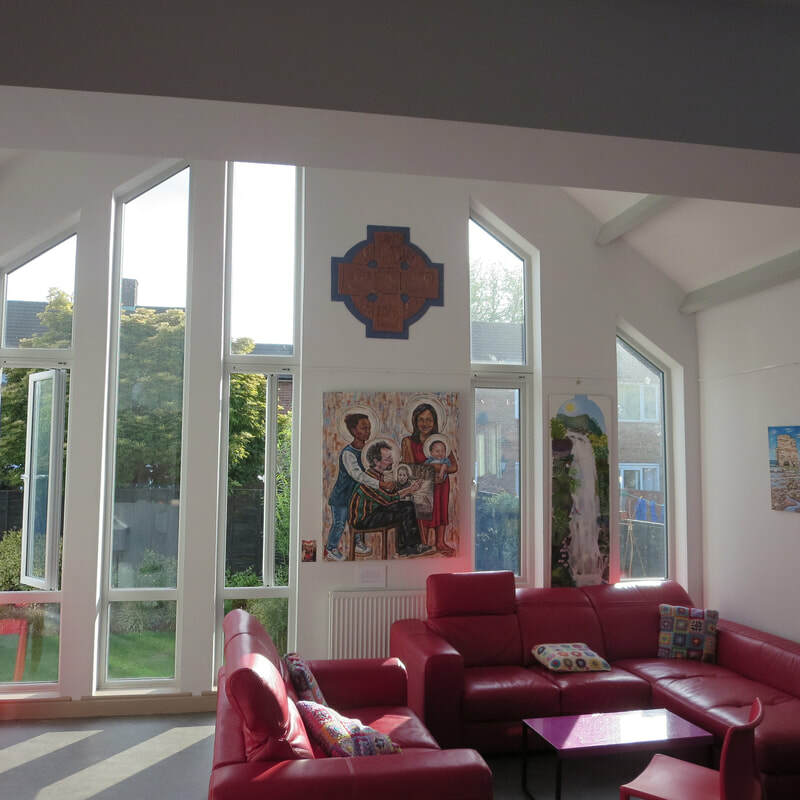 Creating specific spaces within a building can cater for particular groups and needs, like this light-filled children and young people’s room, which acts a safe haven in the neighbourhood with good visibility both outwards and inwards. The security of a building can be enhanced in subtle ways, while maintaining a sense of openness and comfort. 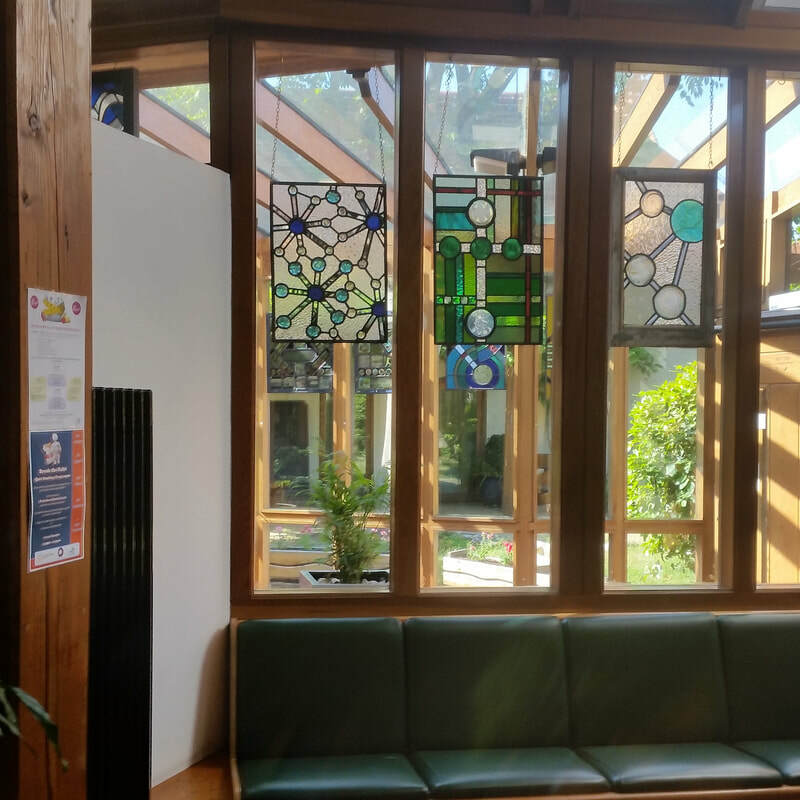 In this medical centre, a glass porch adds a second layer of security, while stained glass panels by a local artist bring colour and imagery into the mix. Do you feel safe and well in your building? Do you think other people do? Do you have the systems, processes and features in place to protect the building and the people who use it? Are you able to secure some parts of the building while other parts are in use? Is it clear which areas are public and which are private? 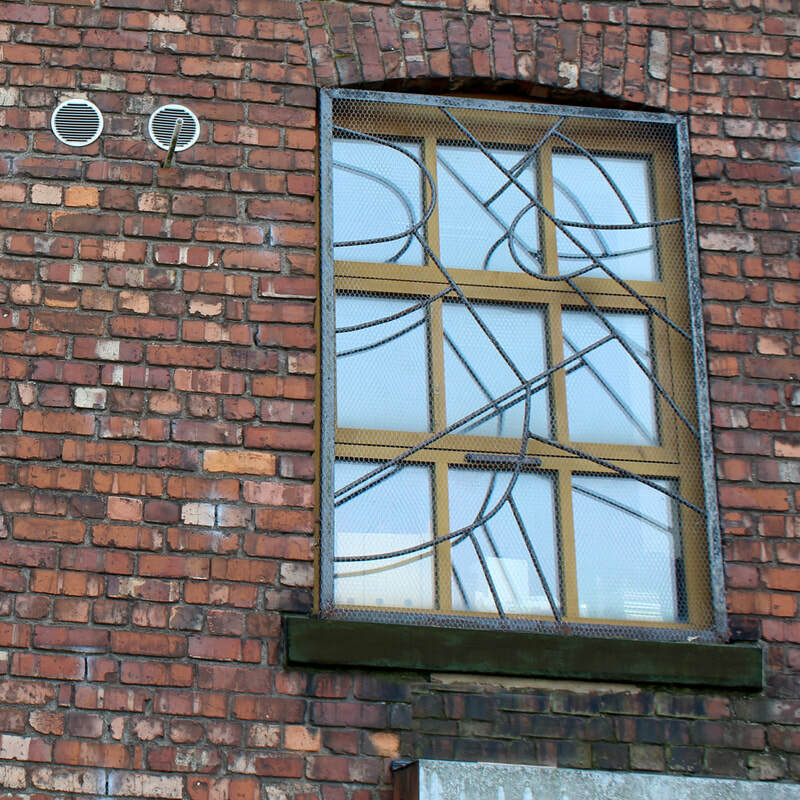 Does your building have particular security needs? How do these sit alongside the needs of diverse users of the building? How can your use of materials, systems, and landscaping help introduce security features that respect and enhance the building? How can you introduce security features that are easy to manage, perhaps by multiple users?